Here is a little spotlight on our sponsors for August. You can see their ads on the right of the blog–clicking on them will take you to their websites. Egg Donor Solutions and Surrogate Solutions work to match intended parents with compatible egg donors and surrogates. We create happy families one baby at a time! Egg Donor Solutions is an egg donation agency that is always looking for generous, healthy, educated women who would like to be egg donors. Egg Donors give a loving couple the amazing gift of family that no one else can offer them. As a donor with Egg Donor Solutions you are appreciated, generously compensated ($5,500-$10,000 per cycle) and treated with respect. We invite you to visit our site and learn more about giving such a selfless gift! At Surrogate Solutions all of our employees have been surrogate mothers themselves, so we know first-hand what the surrogacy process entails. We are always searching for caring women who have experienced the joy of having a child and would like to give that same gift to someone who is not able to carry their own baby. Surrogate Solutions generously compensates our surrogates ($20,000-$40,000 per pregnancy) and we strive to provide the care and attention our surrogates need. If you would like more information about being an Egg Donor http://www.scxserv.com/eggdonorsolutions/) OR a Surrogate Mother(www.surrogatesolutions.net) please visit our website. We would be honored to work with you to bless someone’s life in such an amazing way. 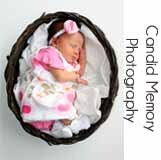 Candid Memory Photography is located in Northern Utah. This is who I use for my photos, and I seriously LOVE her! She has such a great eye and takes fabulous photos. She is the one who took the pic of Brinley’s adorable feet up above. Check her out on Facebook! Hi. This service here allows you to easily edit your PDF documents.http://goo.gl/MEA3jTYou can fill out PDF form, save it, fax it, and email it.